Sometimes simple is best. 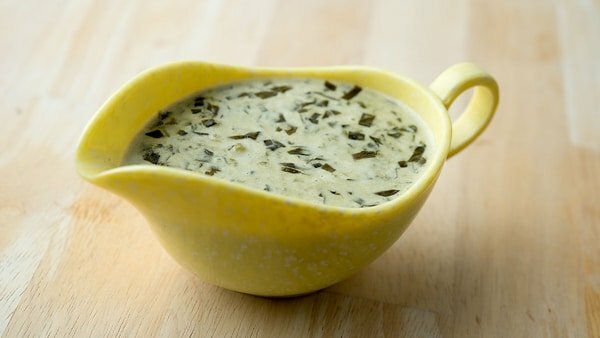 Sorrel sauce is a bedrock sauce in classic French cuisine, and while not quite a “mother sauce,” it is as versatile as it is easy to make. After all, there are only really four ingredients to it. First off, however, I need to tell you about sorrel. Rumex acetosa, common garden sorrel, is one of my favorite things to grow in my garden. Why? For starters, it’s ridiculously easy to grow. It’s basically a weed with a deep root network. Drought tolerant, good to eat all year round, self sowing — hell, it’s borderline invasive. What do you do with it? Well, sorrel is a hybrid herb and vegetable. It looks like a lettuce, but it tastes like lemonade in a leaf. That tartness comes from oxalic acid, the same stuff in rhubarb. But sorrel does indeed make a cool salad green. I love it in sandwiches, as an accent in salads, in sorrel soup, another French standby, and of course in this sauce. Garden sorrel also has wild relatives. Oxalis is one — here in California there is a non-native oxalis with shamrock leaves and warm yellow flowers — there is also wood sorrel, a common weed, as well as sheep sorrel. Both of these last two grow wild all over the United States and Canada. You can absolutely use these sorrels in the kitchen, too, although they are a lot smaller. Once you have your sorrel, you really ought to make this sauce. 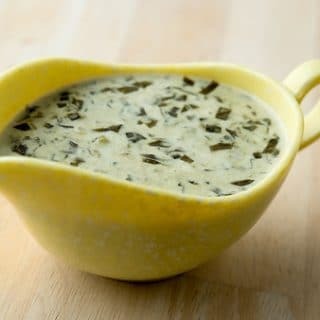 The cream tames the sometimes harsh acidity of sorrel, and the result is a lush, balanced sauce that is absolutely ideal for light meats and eggs. It’s the yin to the subtle yang you get with a piece of poached fish or poultry. 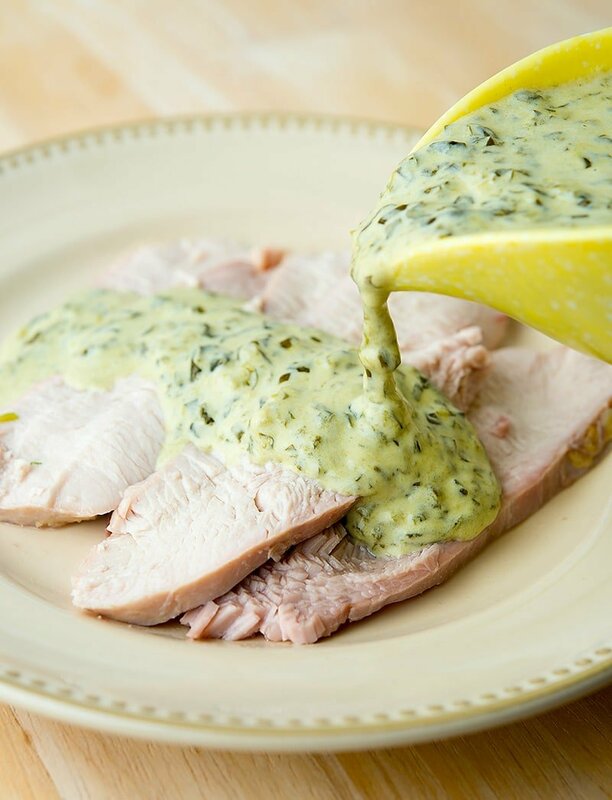 The ultimate classic is salmon with sorrel sauce (my version of that dish is here), but sorrel sauce is wonderful with any white fish, with poultry like turkey, pheasant or chicken, as well as with egg dishes. There are lots of versions of this sauce, but here I adapt a stripped down classic that I first read in Elizabeth David’s French Provincial Cooking. My advice: If you catch fish or hunt wild turkeys, or if you like poached meats or eggs, memorize this sauce. You will not be sorry. Sorrel can be tricky to find in markets, although I do see it in farmer's markets occasionally. Your best bet is to grow it. Sorrel is indestructible in the garden and grows really easily. I planted a few plants in 2004 and they're still going strong, and expand every year. You can buy sorrel seeds online or in most seed catalogs. Or you can use wild sorrel. Chiffonade the sorrel by curling up a few leaves at a time and slicing them very thin. Pour the cream in a small pot and bring it to a simmer. Doing this will prevent it from curdling when it hits all that acidic sorrel in a few minutes. Meanwhile, in another small to medium pot, heat the butter over medium heat and add the sorrel. 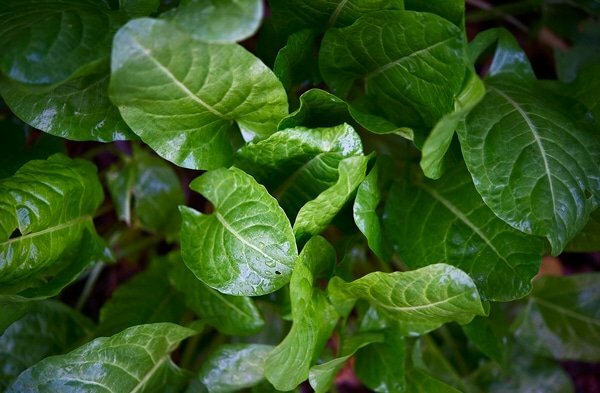 Cook the sorrel, stirring often, until it melts -- it will cook down a lot and turn Army green. When it does, stir in the cream and bring the sauce to a bare simmer. It will be pretty thick, so you'll want to add the vermouth or stock to thin it out. 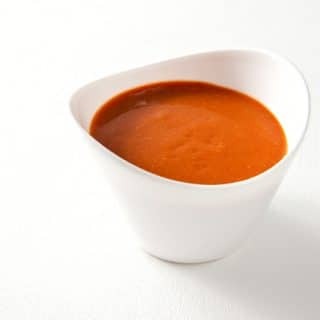 You can add another tablespoon if you want the sauce even thinner. Add salt and white pepper to taste and serve. Once you make this sauce, you'll need to use it; it doesn't keep well, although it will be OK on the stovetop kept warm for an hour or two. You can find all sorts of sauces for game or fish here on Hunter Angler Gardener Cook. Siiri: you bet. Works fine.